What Is Java? Why Its Popular Programming Language? We now cannot imagine existing without internet; it is as if our life will come to a complete halt if we are not connected to the World Wide Web. For the users internet may seem to be a matter of clicks but it works on a set of advanced technologies and hard work of the people who make it possible. Java is a programming language which is an essential part of the internet as it is designed to work in distributed environment. Java implements an object oriented programming model which used to create applications which a user interacts with. In simpler terms Java allows you to play online games, chat with people from across the globe, play games and provides applications which have become integral part of our lives. The biggest challenge for the learners of a technology is that by the time they are proficient in the technology, the technology becomes obsolete. One of the reasons that Java is so popular that it has been ruling the internet for over a decade and it still hasn’t lost its usability or charm. As compared to its predecessors like C and C++, Java is easy to learn. Java is designed in a way so that it is easy for the programmers to code, compile, debug and run it. For a beginner it is one of the most lucrative reasons to learn Java. You can find plenty recommended Java books to get started. Another big advantage of Java is that it lets you create modular applications and reusable code. The reusable code can be used any number of times and it allows saving time. This means Java can be run on various systems and it easy to move from one system to another. This makes Java a truly portable language which is very much desired for the internet. This feature makes the language hassle free and less complicated. Internet is all about distributed networking and Java is indigenously designed for distributed computing with seamless networking capability. Writing network programs in Java is a cake walk for programmers. On the internet security is one of the main concerns; Java is designed to provide a secure development and deployment environment. The Java platform allows users to download code over a network which is not trusted and run in a secure environment where it can do no harm. It also makes security levels and restrictions highly configurable. The ability of Java to get results is one of the main reasons it is most preferred by programmers. Java has a set of well designed API’s which allows programmers to code efficiently with fewer bugs and considerable reduction in development time. From above advantages we can very well have a clear picture on why Java is being preferred by programmers. The reason it is popular amongst its users is capability to apply for diverse uses. Following are some of the applications of Java which makes it one of the most sought out programming language. Most of the android applications are actually written in Java programming language. Google Android API facilitates development of apps . This provides huge potential to java developers to develop apps which are used in Smartphones around the globe. With a staggering 6 billion Smartphones by 2020, there will be a huge demand for android based apps and Java developers. The ecommerce market is booming around the world, as it has already crossed the 3 trillion dollar industry mark. Java is used in variety of web applications which facilitate ecommerce. Java will be very fruitful to learn for small business owner as this will allow them to customize their own online stores. Here are some things a Java web developers is expected to know. Most of the popular desktop applications are written in Java. Even many software development tools are written in Java eg Eclipse, Netbeans IDE and IntelliJ idea. This makes Java the handiest language for offline applications as well. Java is also being used in embedded space with Java programs written on smart cards and sensors. Java was initially designed for embedded environment with its concept of “write once, run anywhere”. Big Data which is transforming the organization into being data driven is also using Java. Hadoop as well other big data technologies are using Java for example Apache’s Java-based HBase and Accumulo(open source) and ElasticSearch . Java is used in writing server side applications where there is no front end. The main purpose of these server side applications is to receive data from one server process it and send it to other processes. This functionality of Java is extensively used by global investment banks like Goldman Sachs, Barclay, and Standard Charted etc for building financial applications for server side. Java is being used in many scientific applications because of its advantages like security, portability and robustness. It is being used in natural language processing and other important applications. The multi threading feature of Java provides high level of concurrency. 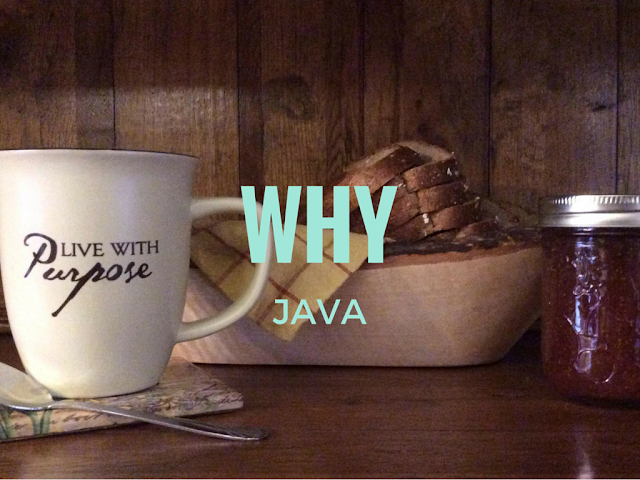 Here are some more reasons that make java a popular choice for programmers. Whether you are a student, professional or a business owner, Java can provide you skills which are much needed in the internet age. Java provides ample amount of opportunities to the learners to advance in their careers. From the above mentioned advantages and applications it has made it clear that Java is here to stay but it is ready to capitalize on the opportunities that will be present in future. As most of the business is now being conducted online, Java has unlimited potential for ecommerce business owners. Currently they are dependent on external developers to customize their ecommerce store according to their preference but those who are well versed with Java can customize their own stores. The broad application and ease of use of Java makes it a very popular language. VaishnaviAgrawal loves pursuing excellence through writing and have a passion for technology. She has successfully managed and run personal technology magazines and websites. She currently writes for intellipaat.com, a global training company that provides e-learning and professional certification training.